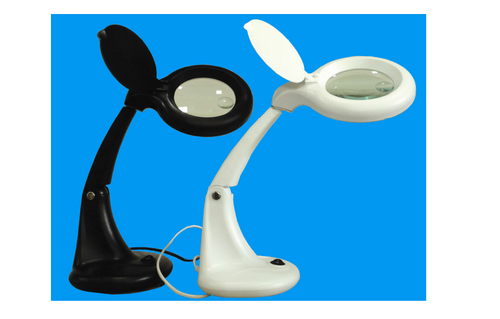 Our product range includes a wide range of esd safe magnifiers, illuminated magnifier, deluxe magnifier and mini magnifier. Electronic assembly shops often need a work environment that ensures no static electricity build-up and thus ensure accidental arcing that can damage sensitive components. These magnifiers qualify for use in such environments by providing a long-lasting dissipative surface for parts that may come close to the sensitive work. ESD Safe Models are available in both Deluxe and Semi deluxe versions and with all different mounting bases. Aesthetically pleasing and lasting powder coat surface finishes for the land. The concealed spring mechanism allows easy cleaning. Better for work in clean rooms. Electronic ballast makes the unit run even at a low voltage of 190 V A robust model with a design that conceals the balancing mechanism. Easier to clean. 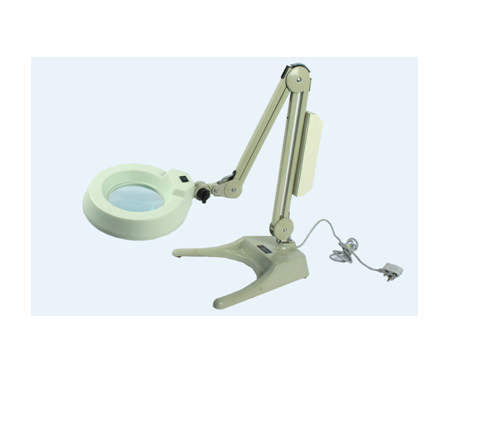 Deluxe Magnifier offered provides for 6X magnification and finds extensive use in the electronics industry where magnified viewing of boards and PCB is required to visually see the placement of components. 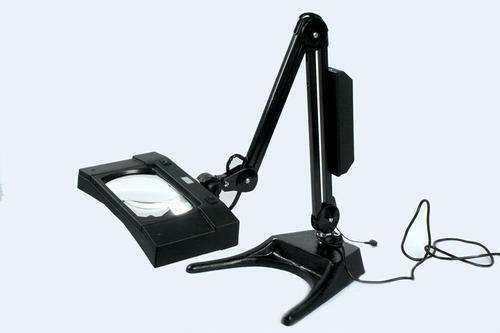 The magnifier is available in the compactly designed finish which makes them convenient to carry as well as use. 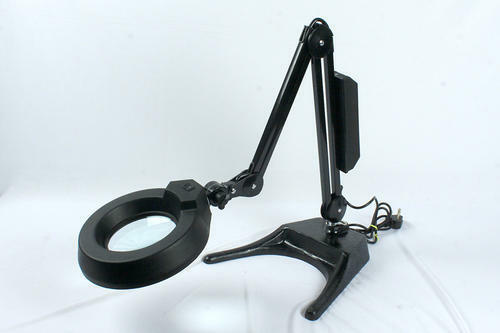 Further, the double lens support in magnifier supports the user in closely observing object under high magnification.